Child discounts available at this hotel. Click here for more info. 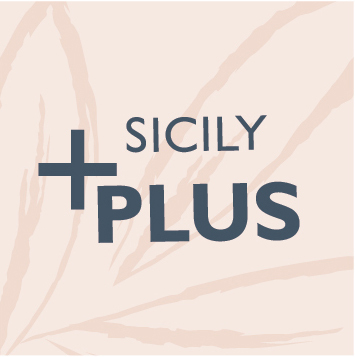 The Acacia Resort, set by the sea in northern Sicily, is a lively prospect, full of vibrancy and bustle and perfect for families looking for a hotel and beach based holiday. The resort is surrounded by lush, spacious grounds and has a beautiful twin backdrop of hills and coastline. 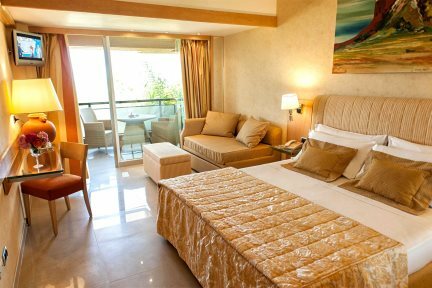 All the bedrooms are bright and modern in style, and have a terrace with views of either the gardens or the pool area. Along with the pool, children’s pool and the beach, there are plenty of activities on offer, including a children’s club and a playground. If that isn't enough there is also table tennis, volleyball, mini football, tennis courts, mini golf and even cookery classes. After all that activity, the spa and wellness centre gives you the chance to unwind in the sauna and steam room with outdoor massages and beauty treatments available. In terms of dining there is the on-site Restaurant Sala Angurie, offering local specialities and of an evening there is music and dancing. If you want to venture further afield, there is the fabulous fishing town of Cefalù just a short drive away as is the striking Madonie Natural Park with numerous hiking routes and picturesque hilltop villages. Please note that June - September there is a €5 per day charge for use of sports, beach and kids club facilities. Children under 4 free. Large pool and children’s pool, spa & wellness centre, fitness centre, restaurant, Two bars: The Globe & The Pool Bar, Children's Club (4-12yrs), Wi-Fi in communal areas, table tennis, volleyball, mini football. Private section of beach. Payable locally: Tennis, mini golf, cookery classes, daily shuttle bus to Cefalù & Palermo. Please note that June - September there is a €5pd charge for use of sports, beach & kids club facilities. Children under 4 free. En-suite bath or shower room, LCD satellite television, telephone, safe, minibar, hairdryer, air-conditioning, all rooms have a terrace or balcony. 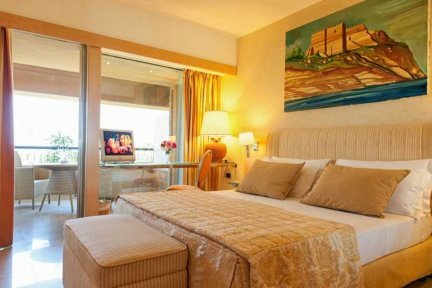 Superior rooms (14-20m2) have a double bed, with either shower or bath and a covered balcony. An extra bed or sofa bed can be requested. These rooms are 14-20msq, with a double bed, bath, and a pool view. An extra bed or sofa bed can be requested. These rooms are 20msq, with double bed, a bath, and garden views. Deluxe rooms (20m2) have a double bed, sofa, with either shower or bath and a covered balcony facing the sea. Superior Seaside rooms (14m2) have a double or twin beds, with either shower over bath and a covered balcony facing the sea. At the foot of the Madonie plateau, Campofelice town’s centre has modest size but by no means lacks in attractions. Among the churches, it is worth a visit to Santa Rosalia, the patron saint of the city, built in the 30s of the 17th century and centre of religious life of the local community. This beautiful sand and pebble beach, 10 km in length, ranks at the top among the longest beaches of the coast of Palermo. It’s easily accessible from the waterfront promenade and equipped with every comfort such as kiosk-bar and residences a few meters away, mostly concentrated in the western part of the coast. Less than 30 minutes by car from Campofelice, Lungomare di Cefalù is a beautiful 8km stretch of golden sands by calm, shallow waters. It’s ideal for families with sun loungers and parasols for hire. Sant’Ambrogio is a large beach, 5km from Cefalù. This mainly sandy beach is one of the quietest in the region. A celebration of Cefalù's patron saint with processions, great food and the odd glass of wine, held over a few days each August, swelling the number of Cefalù’s summer visitors, especially on the last day of the festival. The Castle of Roccella’s ruins lie on the seashore of Campofelice. Of the big original structure, only the tower is still standing up, and it tells the visitors the one thousand years of history of the town. Today the castle is a wonderful location for several cultural events. Take a drive inland to the Madonie mountains, a natural park with numerous excellent hiking routes and picturesque, historic hilltop towns and villages. The bustling and vibrant city of Palermo has a plethora of historic gems waiting to be discovered, including the magnificent Cathedral di Monreale, possibly the finest Norman building in Sicily. Other highlights include some excellent museums, an open air-theatre and colourful street markets.